Everything has been going good. Maintenance has been wonderful and quick. The office ladies are nice to me. The only reason I'm giving this 4.5 stars is because this is the 2nd time I've been charged for a washer and dryer and I have my own. Issue shouldve been fixed the first time. I absolutely love my community. 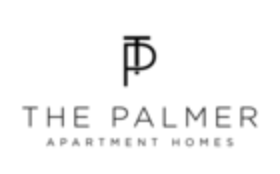 The office staff, the amenities, the cleanliness of the environment and landscaping, and the location have all made The Palmer a wonderful choice for a place I call home. My boyfriend and I had a bad experience moving in, and getting the paperwork done, but the stuff helped a lot. We will see after Eleven more months. Dorothy R., we are glad we could help! We are sorry your move in was not as easy as we hope for! . Have had a terrific time living here. Great location to work and Woodstock amenities. The staff is great and respectful and they handle concerns quickly. Hi Rudolph V., we are very happy to have provided you with such a positive experience! Jose Antonio R., thank you for your kind review; we are happy to pass along your comments to the team here at The Palmer! So far, everything had been amazing! Although, I'm just getting started, I'm looking forward to living my best life at the palmer! So excited! Hi Michael R., we are very happy to have provided you with such a positive experience! Very quiet, very private, the staff is very friendly. Great workout equipment, fire pit and outdoor grills. My child loves the play area, would recommend to others. A couple hiccups at the time of application but smooth sailing once everything got situated! Looking forward to living here and being close to quaint downtown. Jessica B., we are glad we could help! Monae B., thank you for your kind review; we are happy to pass along your comments to the team here at The Palmer! Hi Richard B., we are very happy to have provided you with such a positive experience! I have loved living here. The office and the maintenance are always very helpful and very quick to get things done. Neighbors keep to themselves and so do I do everything works out. Ashley Brooke W., thank you for the high star rating! Great neighborhood, maintenance attends right away, the community works together, and it's very clean. Dogs are welcomed and loved. All around a good place to live. Even in our first two months we have became fans. Hi Christian P., we are very happy to have provided you with such a positive experience! We have enjoyed our experience at The Palmer. They have made many changes in the past 2 years that have greatly improved the community while still keeping rent affordable. Hi Joanne A., we are very happy to have provided you with such a positive experience! Really like living here because it’s in a good location. Also our friends live here so it’s nice being close to them. The neighborhood is pretty nice as well. The only bad thing is is if it’s past 10pm I can’t ever find parking close to my building. Hi Sarah M., thank you so much for your positive comments about The Palmer! We are new residents but love it here already. The office staff is super friendly and helpful in every way. We had an issue with one of the toilets and the maintenance man was here pronto and fixed everything quickly and professionally. We also love the location and the easy access to the surrounding community. It is a win-win here for us! Victoria T., thank you for your kind review; we are happy to pass along your comments to the team here at The Palmer! So far my room mate and I have been living at The Palmer for a month and the first months experience has been great. We love the apartment and all the amenities it has to offer. Ahmad A., thank you for your kind review; we are happy to pass along your comments to the team here at The Palmer! Nice quiet neighborhood with friendly neighbors. Maintenance guy is awesome and usually sent in a very timely manner!! Love the little lunches and dinners the office makes available to the community!! Hi Lucretia S., we are very happy to have provided you with such a positive experience! Workers are always prompt when contacted and work their best to give you the best experience possible. The gym, mail room, leasing office, and the neighborhood in general are always looking well kept. Hi Jose G., we are very happy to have provided you with such a positive experience! I have enjoyed my time here. Management has been great. The Maitentance guys are always helpful whenever we need it. I love living in Woodstock as well. Robert Dean R., we are glad we could help! I do love this neighborhood but I feel like we get treated like a number rather than residents who make this our home! We should have more of a say in regard to the things that make our home home for us! Rather than you just forcing them on us. I get that the the demographics is very mixed; but that shouldn’t matter. I just hope the owners or management Would realize that because people chose to rent doesn’t mean we should be treated in less in terms of having a choice. Ashley K., we regret to hear that you had a negative experience with us, but would appreciate the chance to turn your experience around. We would like to work towards a resolution, so if you are willing, please reach out to us at (770) 926-4100 to discuss this further. Clean, friendly staff, quiet, love it here so far. Gate problems but understand that they are working on the problem diligently. No problems at this time. Jocelyn G., thank you for your kind review; we are happy to pass along your comments to the team here at The Palmer! The palmer is a great place to live. Fitness center recently got news weight equipment. They have a sauna, two pools, and a tennis court. I like the new package concierge to keep packages safe. Brendon W., thank you for your kind review; we are happy to pass along your comments to the team here at The Palmer!